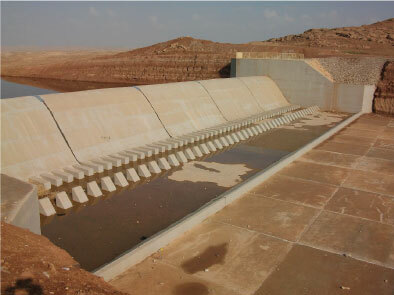 THEFAF ALRAFIDAIN Co. has been awarded the contract by the General Directorate of Reservoirs and Dams. 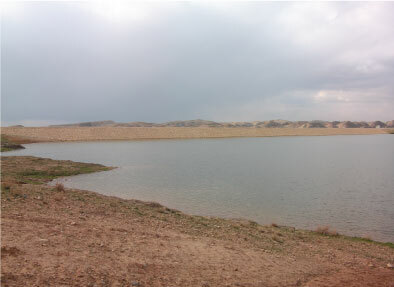 Shireen Dam is located in Northeast of Kirkuk city. The purpose of constructing this dam was to increase storage capacity for surface water for irrigation and tourism purposes, where the storage capacity reaches up to 1,600,000.00 cubic meters. The work included soil investigation and excavation works in all different types of soil, such as; sand, rocks….etc, then supplying the selected ﬁlling materials that are well-compacted with all ﬁlters, including supplying and installing steel pipes with 100 cm in diameter. The work also included constructing spill way, inlet and outlet structures.